On the 3rd and 4th June 2013 Sinnington Community Primary School hall was converted into a street full of shops with busy chatty interaction between stall holders! Having been to many Storyline workshops in my time, I thought it only right that my staff should be trained by a ‘professional’ so with that in mind I asked Steve Bell to visit my school on two training days and lead a workshop to about thirty teachers. All my staff were present as well as teachers and teaching assistants from 4 schools; altogether there were representatives from 3 primary schools, one secondary school and one special school. We had a two very busy days working on the Storyline ‘The Street’ as well as writing Storylines for the beginning of this term which we have just completed. As with all Steve’s workshops everyone always has a great time but what was more important to me as a headteacher was the impact this learning had on my staff and ultimately the pupils. 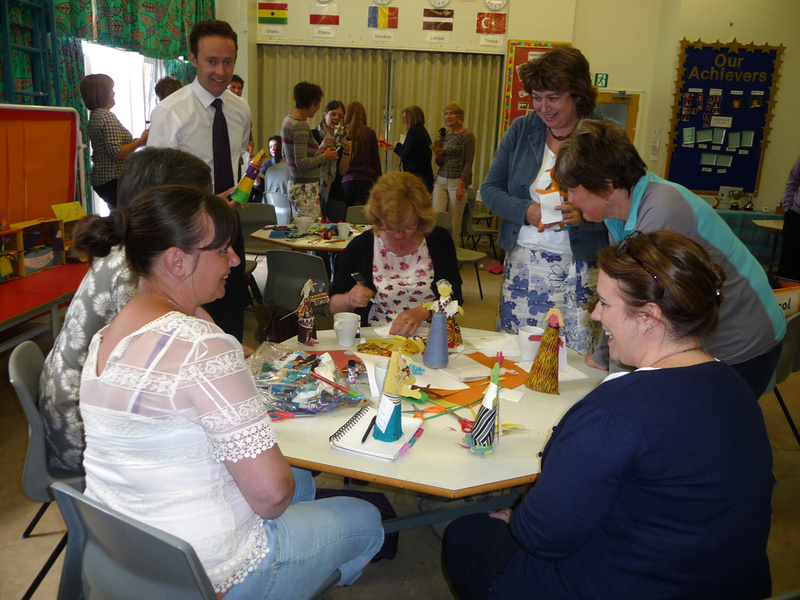 The impact was realised in the first two weeks of this autumn term, although some of my staff went away after the workshop and created a mini Storyline on Pirates – which was really good. 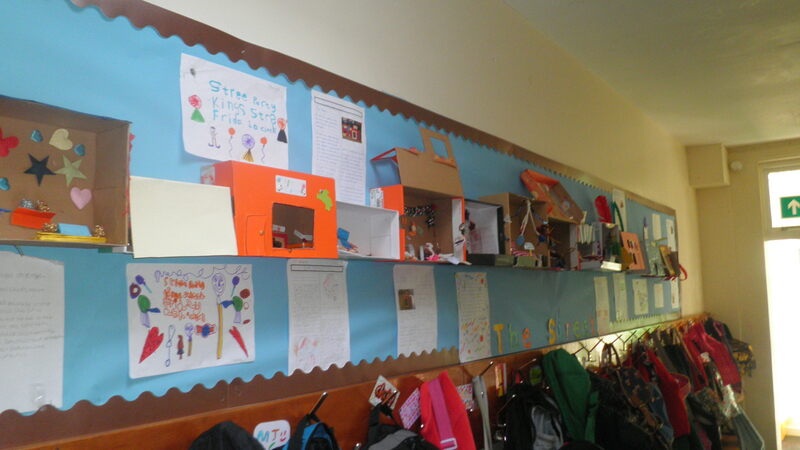 The children throughout the school worked on the storyline ‘The Street’. The Reception and Year 1 children concentrated on a Pet shop with the culminating event being a trip on a minibus to a local pet shop to buy two new baby guinea pigs (recently named Cuddles and Squeaky). The rest of the school worked on a street which at one point was vandalised. The mayor visited the street to open the new revamped shops and a party was had to celebrate. The ‘mayor’, was a governor and also our bus driver who had actually been the mayor of the town. Our main focus throughout the storyline was PSCHE objectives which we thought was needed at the beginning of the academic year. Thanks Steve, we all had a great time, the staff learnt a great deal and the children worked well together and enjoyed the opportunity to get to know their new class mates and work in different ways that would benefit them throughout the year. The impact of this Storyline workshop I know will continue for many years.